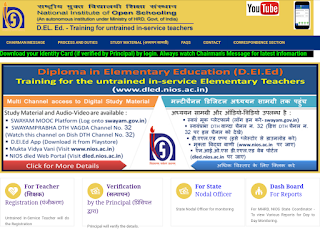 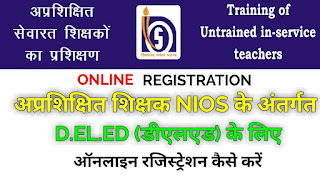 NIOS D.EL.ED Admission 2018 - NIOS DElEd Registration 2018 starts at dled.nios.ac.in: Know how to apply: Diploma in Elementary Education (D.El.Ed) programme is a specifically designed package for in-service untrained teachers working in primary/upper primary schools of different states of the country. 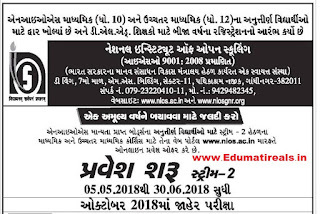 The programme has been developed by the academic department, NIOS on the initiative of Ministry of Human Resource Development (MHRD), Government of India, keeping in view the NCF 2005, RTE 2009 and NCFTE 2010. 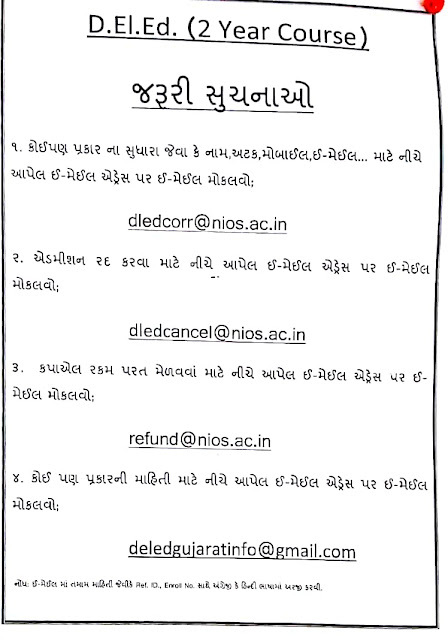 The examinations forms can be submitted at NIOS DElEd portal using the teacher login details, as reported by NIOS. 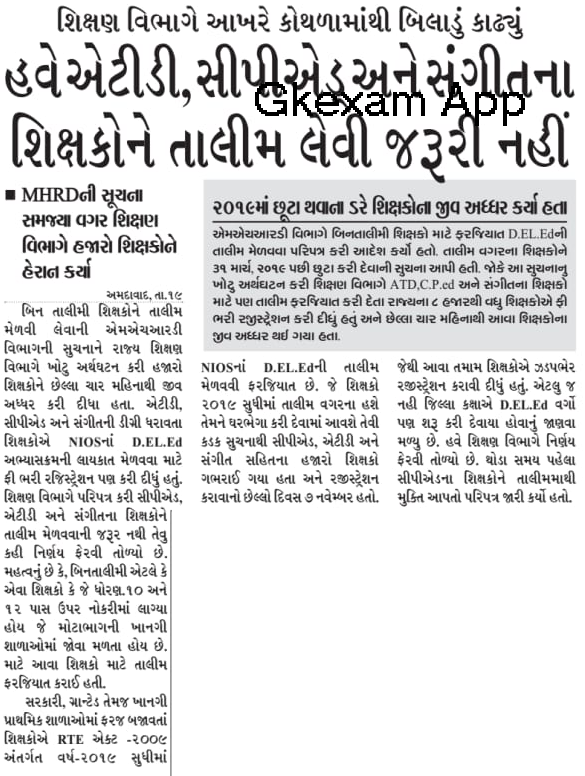 All the candidates need to pay Rs 250 for each application form. 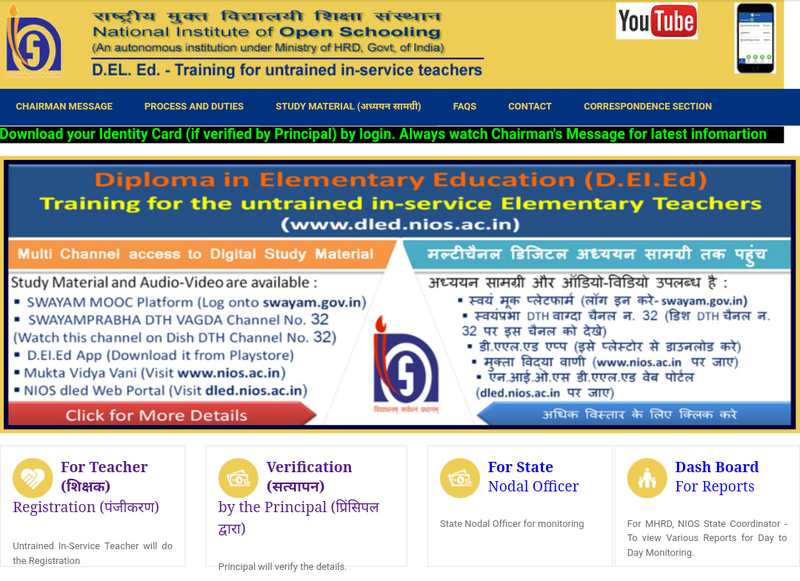 The minimum qualification required for admission in D.El.Ed. 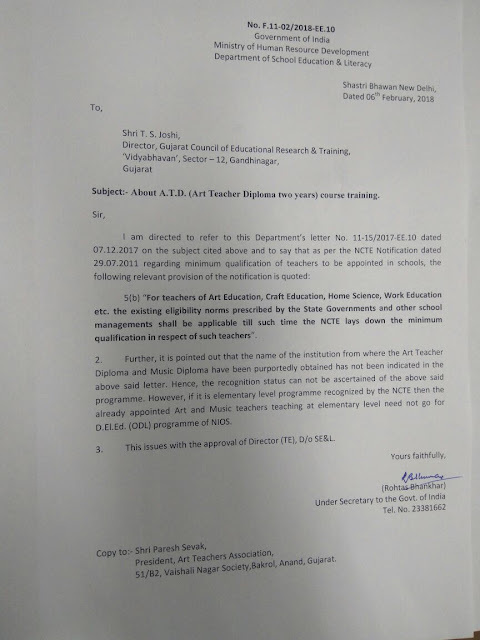 (ODL) for untrained in-service teachers is 50 per cent in aggregate at Senior Secondary (Class 12 or its equivalent). 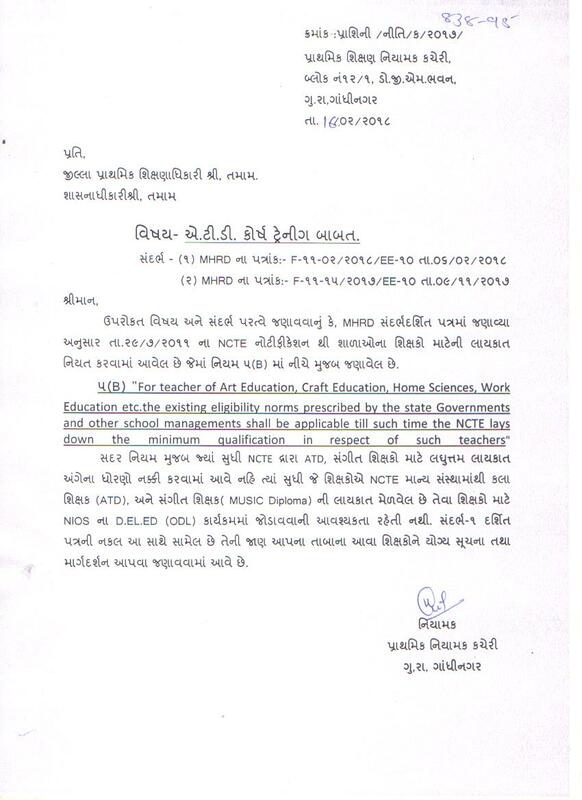 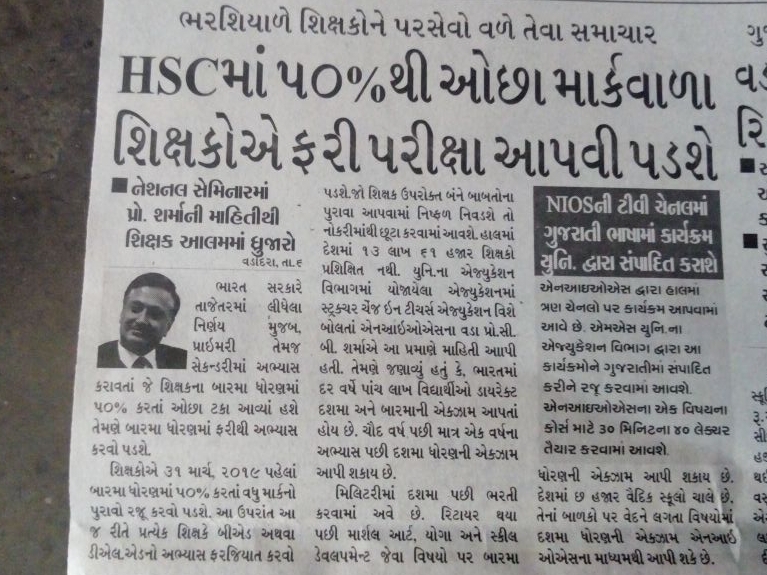 For SC/ST/OBC/PH candidates a relaxation of 5 per cent is admissible. 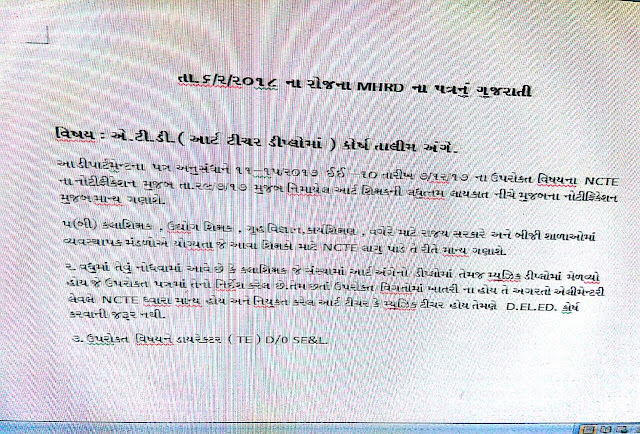 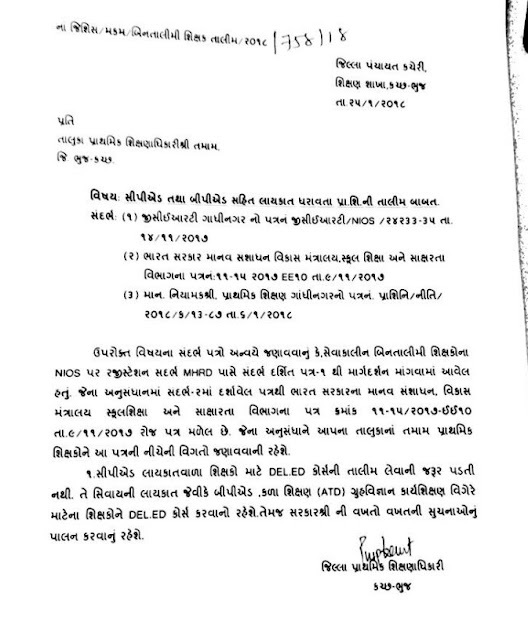 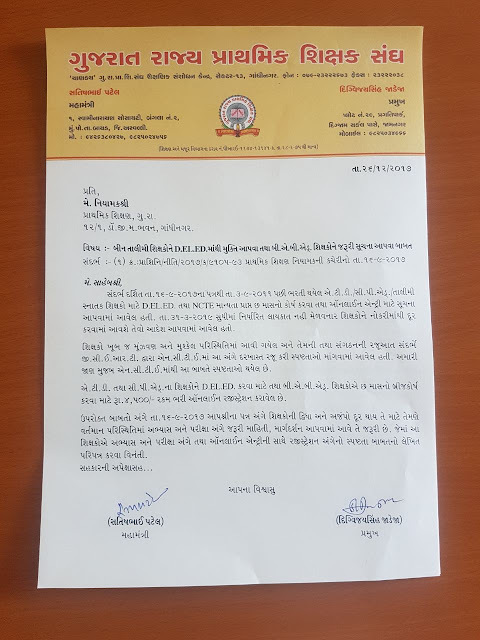 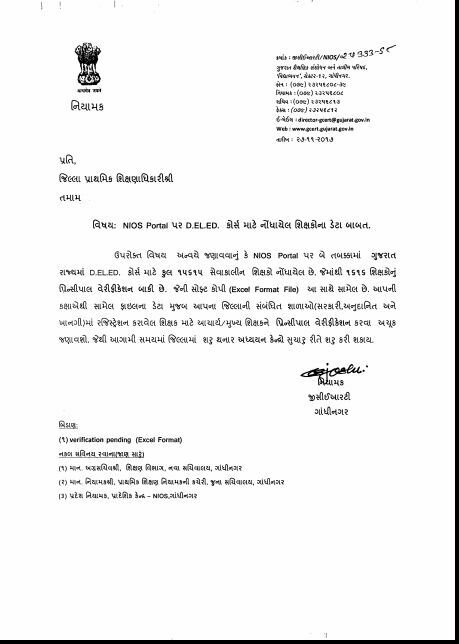 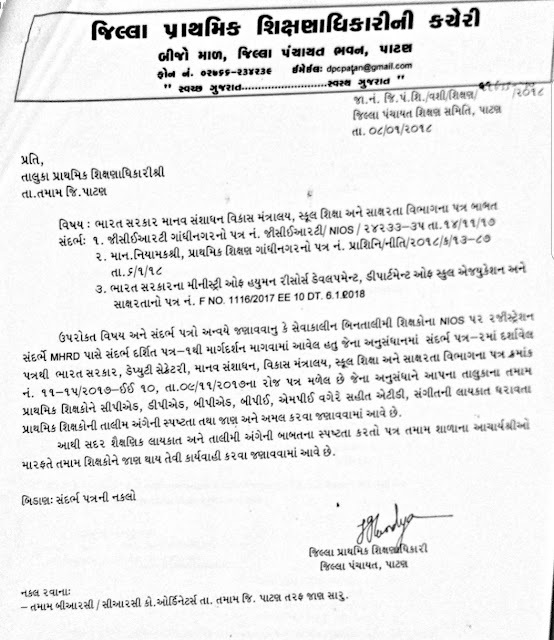 ATD TEACHER BABAT PARIPATRA TATHA TENI GUJRATI MA SAMAJ DATE-6-2-2018. 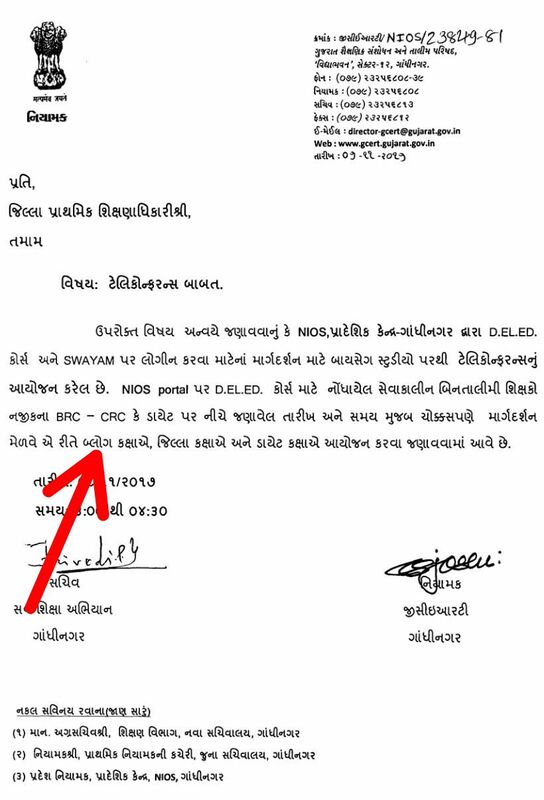 BIN TALIMI SIXAKO NE D.EL.ED MA THI MUKTI AAPVA RAJUAAT.